Zevrix Solutions announces LinkOptimizer 5.2.17, a maintenance update to company’s workflow automation tool for Adobe InDesign. LinkOptimizer lets users automatically scale and crop images to their InDesign dimensions at specified target resolution, convert image formats and colors, embed profiles and more. The new version fixes an error caused by processing of images with umlauts and other accented characters in their names, which could affect workflows in German and other European languages. 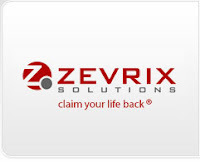 Toronto (ON), Canada — Zevrix Solutions today announces LinkOptimizer 5.2.17, a maintenance update to its image processing automation solution for Adobe InDesign. LinkOptimizer automates complex image manipulation tasks and helps users reduce the size of InDesign links, save prepress costs, and easily repurpose InDesign documents for web and mobile devices. 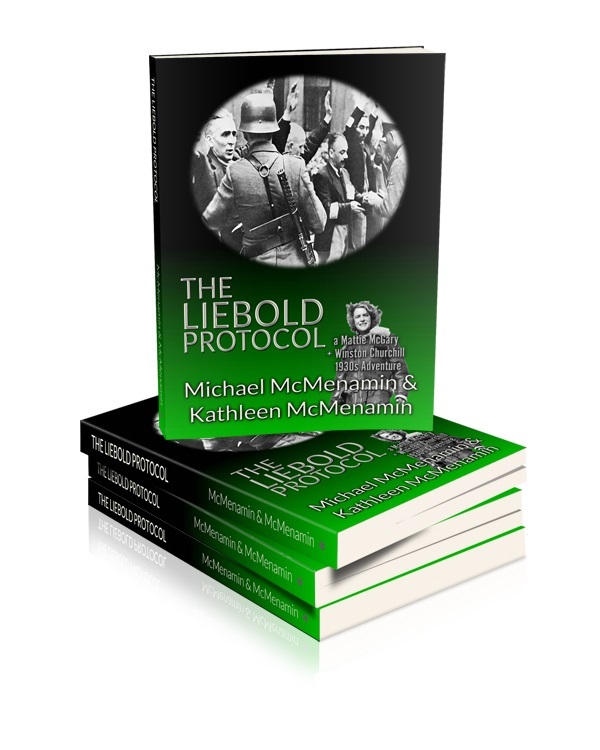 The Liebold Protocol, A Mattie McGary + Winston Churchill 1930s Adventure by Michael McMenamin & Kathleen McMenamin, continues the chronicles of Winston Churchill’s goddaughter Mattie McGary inside the Nazi empire. Cleveland, OH, USA — In her latest adventure, The Liebold Protocol, Winston Churchill’s Scottish goddaughter, Mattie McGary, the adventure-seeking Hearst photojournalist, reluctantly returns to Nazi Germany in the summer of 1934 and once again finds herself in deadly peril in a gangster state where widespread kidnappings and ransoms by the SA and SS are sanctioned by the new Nazi government. It didn’t begin that way. At Churchill’s suggestion, Mattie initially investigates one of the best-kept secrets of the Great War-that in 1915, facilitated by a sinister German-American agent working for Henry Ford, British Empire and Imperial German officials essentially committed treason by agreeing Britain would sell raw rubber to Germany in exchange for it selling precision optical equipment to Britain. Why? To keep the war going and the profits flowing. After Mattie interviews Ford’s German-American go-between, however, agents of Scotland Yard’s Special Branch are sent by Churchill’s political opponents in the British government to rough her up and warn her she will be prosecuted under the Official Secrets Act unless she backs off the story. Left no choice, Mattie sets out for Germany to investigate the story from the German side and to interview the German nobleman who negotiated the optics for rubber deal with the British. Once In Germany, however, Mattie lands right in the middle of a potential civil war between the SA Brown Shirts of Ernst Rohm who want a true socialist ‘second revolution’ to follow Hitler’s stunning first revolution in 1933 and Adolf Hitler who believes one revolution is enough. Mattie learns that Hitler has ordered his SS to assassinate all the senior leadership of Ernst Rohm’s SA Brown Shirts as well as other political enemies on Saturday 30 June, an event known to History as ‘The Night of the Long Knives’. The McMenamin writing teams are award-winning, and one should not expect anything different from The Liebold Protocol. Three-Time Grand Prize Winner Fiction, Next Generation Indie Book Awards. Three-Time Thriller/Suspense Book of the Year, ForeWord Reviews. Two-Time Historical Fiction Book of the Year, ForeWord Reviews. Michael McMenamin is the co-author with his son Patrick of the first five award-winning 1930s era historical novels featuring Winston Churchill and his fictional Scottish goddaughter, the adventure-seeking Hearst photojournalist Mattie McGary. The first five novels in the series-The DeValera Deception, The Parsifal Pursuit, The Gemini Agenda, The Berghof Betrayal and The Silver Mosaic-received a total of 15 literary awards. He is currently at work with his daughter Kathleen McMenamin on the eighth Mattie + Winston historical adventure, The Prussian Memorandum. He is also the author of Becoming Winston Churchill, a joint biography of the young Churchill and his Irish-American mentor, the New York lawyer and statesman Bourke Cockran. Kathleen, the other half of the father-daughter writing team, has been editing her father’s writing for longer than she cares to remember. She is the co-author with her father of the 2018 novella, Appointment in Prague, A Mattie McGary + Winston Churchill World War II Adventure. She also is the co-author with her sister Kelly of the critically acclaimed Organize Your Way: Simple Strategies for Every Personality [Sterling, 2017]. The ebook version of The Liebold Protocol ISBN 9781506907536, published by First Edition Design Publishing (http://www.firsteditiondesignpublishing.com), is available on-line wherever ebooks are sold. The 168 page print book version, ISBN 9781506907529, and hardback ISBN 9781506907512, is published by First Edition Design Publishing and distributed worldwide to online booksellers. Walter Centers Combines Social Outreach and Vendor Services Around MyColisBox™. Las Vegas, NV, USA — The Decayeux Group, the French innovators specializing in security products since 1872, will be introducing Walter, a new mobile security and social app, at CES 2019 being held here January 7-11, 2019. Walter has been developed as a support tool for MyColisBox™, Decayeux’s secure parcel delivery solution, but it also serves as a new social and concierge platform for college dormitories, offices, and residential buildings. Walter is a mobile app that runs on your smartphone or mobile device to alert you when a package is delivered to a nearby MyColisBox for pickup. MyColisBox can be installed in offices, apartment buildings, condominiums, student housing, marinas – anywhere people need a secure, self-service location to receive packages. However, Walter is more than a delivery alert application – it also has been designed to help residents and co-workers connect and shop using MyColisBox as a social media focal point. With Walter APP users can connect with others in their community to borrow and lend items, barter, and even receive goods from area businesses. The concept is to promote social cohesion by using mobile technology to connect people using the physical secure delivery system, MyColisBox, as a focal point for the building. In addition to the app Decayeux has developed Walter BOARD, a digital notice board that allows users to post and share information in real time. Walter BOARD can be used to post items for sale, offer items to share, or to advertise goods and services provided by area merchants. It also can serve as a community bulletin board, alerting users about building services, events, and other notifications. Rounding out the Walter offering is Walter PARTNERS, which is designed to connect merchants and service providers with MyColisBox users via Walter. Walter PARTNERS allows businesses to promote concierge services and use MyColisBox to deliver goods and pick up items from residents and connected users. For example, restaurants and grocery services can make deliveries via MyColisBox, or cleaners can collect and deliver dry cleaning using MyColisBox as a pickup and delivery point and using Walter BOARD to promote their services. The Decayeux Group will be demonstrating Walter and MyColisBox at CES at the Sands Hall in Booth 40534. For more information, visit http://www.decayeux.com. MyColisBox is a secure and connected parcel box delivery system designed to meet the needs of consumers in accepting online shipments and package deliveries. Ideal for residential and professional buildings, MyColisBox was specifically designed to meet the needs of today’s online shoppers, providing a secure pickup point accessed by a unique pin code sent via SMS message to the recipient’s smartphone. The solution is ideal for today’s busy consumers who can’t be available to sign for package’s. It also provides a new way to improve the customer experience by supporting specialty and concierge services that can be delivered right to the consumer’s building. MyColisBox has been recognized by the Consumer Technology Association as a CES 2019 Innovation Awards Honoree. It also has received the 2019 German Design Award. Founded in 1872, the Decayeux group was first a leader in the locksmith industry. Today, that tradition is carried on with its family’s sixth generation, whose passion, innovation, creativity and drive has helped Decayeux to become the leading European manufacturer of mailboxes, as well as high security doors.